This is hosted by High-heeled Love and My So-called Chaos who say, "This party is all about sharing those fabulous blogs that you've read through the week and promote our blogger community. I hope it will help you use this party to find new blogs to read and build some new blogger friendships." I found this post on Byrdie. This method is a little different than the breathing techniques I've learned in the past, and lately, I've had quite a few experiences that created some anxiety. I think this post is worth your while. This came from Free People blog. You might be sensing a theme here. I'm a week post-surgery, and I have a long road of recovery ahead. I do feel like things have sort of fallen down. Tonight I used one of the tips and just cried it out. But all the tips are valuable. 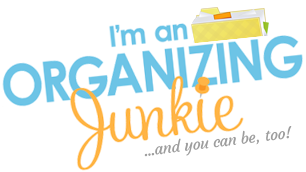 This post is from I'm an Organizing Junkie. It is a great resource with all types of recipes from beef to vegetarian to appetizers to desserts, and everything in between. Each recipe has nutrition info, links to where the ingredients might be on sale, pictures, ratings, and reviews. You can also create a printable shopping list. I think this site could be very useful. Off to check out the blogs I've never seen. My menu is ready to post for Org Junkie in the a.m. Hope you're healing well and having a great summer. I'll see you in August. These are fantastic posts! Thank you for joining us, I seriously think I could use each of these a lot. sharing is my favourite. thanks for these great posts!